Why did many religious leaders—Moses, Old Testament prophets, Zoroaster—claim they heard divine voices? 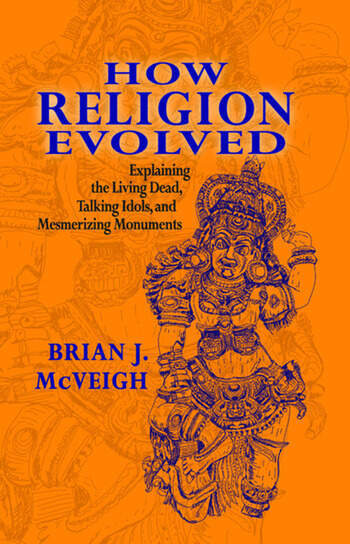 Why do ancient civilizations exhibit key similarities, e.g., the "living dead" (treating the dead as if they were still alive); "speaking idols" (care and feeding of effigies); monumental mortuary architecture and "houses of gods" (pyramids, ziggurats, temples)? How do we explain strange behaviour such as spirit possession, speaking in tongues, channelling, hypnosis, and schizophrenic hallucinations? Are these lingering vestiges of an older mentality? Brian J. McVeigh answers these riddles by updating "bicameralism." First proposed by the psychologist Julian Jaynes, this theory postulates that an earlier mentality existed: a "human" (the brain's left hemisphere) heard voices of "gods" or "ancestors" (the brain's right hemisphere). Therefore, ancient religious texts reporting divine voices were recounting of audio-visual hallucinations—a method of social control when early populations expanded. As growing political economic complexity destabilized god-governed states in the late second millennium BCE, divine voices became inadequate. Eventually, humans had to culturally acquire new cognitive skills (modern religions) to accommodate increasing social pressures: selves replaced the gods and history witnessed an "inward turn." This psychological interiorization of spiritual experience laid the foundations for the world's great religions and philosophies that arose in India, China, Greece, and the Middle East in the middle of the first millennium BCE. D The Problem with "Cultural Evolution"